As cycling events like the Tour of Missouri struggle to meet sponsorship goals, another cycling event has met its match, in milk. 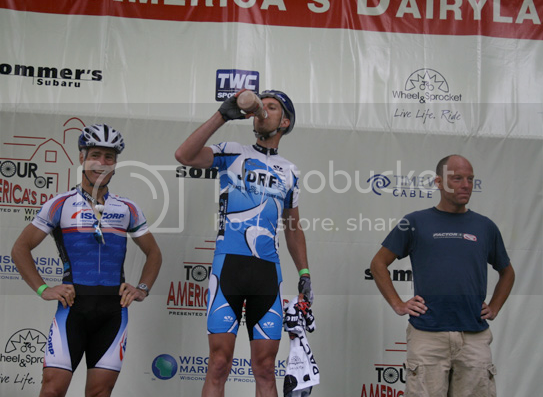 The Wisconsin Milk Marketing Board will return as the presenting sponsor of the Tour of America’s Dairyland pro cycling event in 2010, tentatively scheduled for June 17-27, 2010. In its inaugural year, the 2009 Tour of America’s Dairyland paid out over $85,000 in cash and primes (rider incentives) to racers of multiple categories across nine Wisconsin cities in 10 days. “It all begins on the 13,000 dairy farms located across Wisconsin, which produce the highest quality milk necessary for our world famous cheeses and other dairy products that together truly make Wisconsin, America’s Dairyland,” Robson said.